The Baynhams: Life begins at 40. 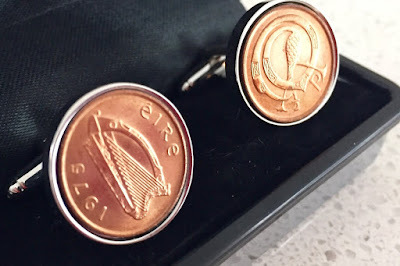 These are the beautiful Irish coin cufflinks made in Ireland for my brother. His face lit up when he opened them but then even more when he realised that the coins were the actual year of his birth!